← We have micro minis and new colorways! 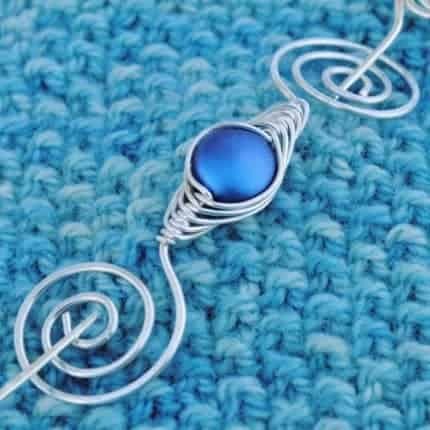 Perfect for holding shawls in place on breezy summer afternoons, these new shawl pins are both stunning and practical. 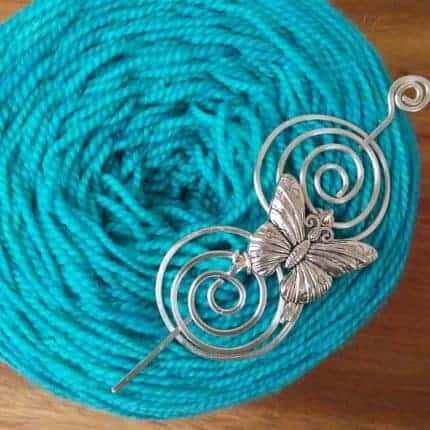 All pins feel as light as a butterfly alighting onto your shawl. 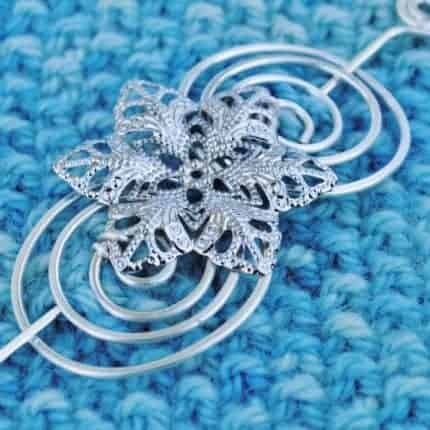 They are sturdy enough to stay in place and light enough not to weigh lace shawls down. The Shimmering Violet Noteworthy Pin will keep you on trend with the Pantone color of the year. 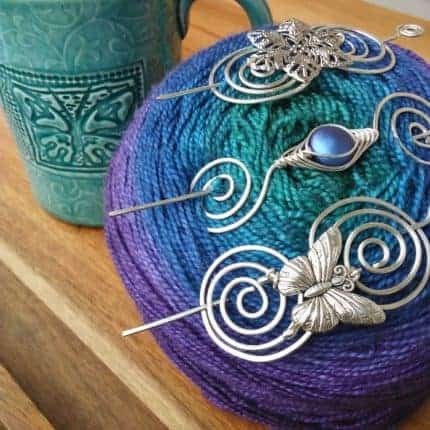 The shimmering shades in this pin look gorgeous on many shades of blue, indigo, violet, lavender and lilac. See these pins in person Memorial Day Weekend at the Great Lakes Fiber Show in Wooster, Ohio. Or June 1st & 2nd at the Hoosier Hills Fiber Festival in Franklin, Indiana. See the events tab on my website for full list of events.